Lots of people get nervous about buying a loose diamond. People don’t know what they’re really looking at or looking for. They feel uncomfortable with looking at scientific detailed information with tons of numbers, symbols and meaningless ratings. Some people haven’t used a microscope since the 7th grade! They are scared of looking stupid! They’re scared of spending so much money on a small piece of rock they know nothing about. They feel it would be easy to get ripped off, and they don’t even know where to begin. Don’t worry, thousands are in your shoes! Hence the purpose for me writing this post! To help you cope with the tons of information thrown at you in a jewelry store, I’ve come up with the top ten rules to follow when purchasing loose diamonds. I call it the “loose diamond buying guide!” Whether you’re buying a loose diamond for an engagement ring, a wedding set, or even an anniversary band, it doesn’t matter… it’s all the same process! 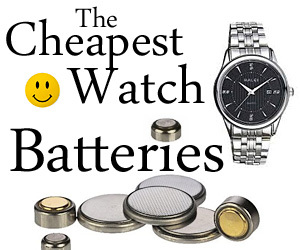 Don’t be Fooled by Price! Make sure it’s certified! Above and beyond all else, DO NOT buy a loose diamond that’s NOT certified! Now I’m not talking about a diamond appraisal. Appraisals and diamond certificates are two totally different creatures. Jewelers always give diamond appraisals away for free with most jewelry purchases. The thing to note here is that appraisals are for insurance purposes and retail value… While certification is for proof of purchase, peace of mind and guarantee! The guarantee is a detailed independent opinion of what your diamond really is! I can’t stress enough how important this first step really is. Your diamond MUST be certified! 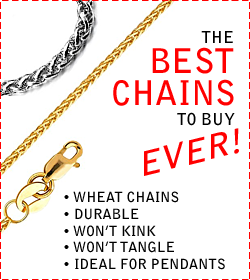 If not, the jeweler could sell you anything, call it anything, and truly rip you off!!! Certificates like the GIA are actually called “diamond reports“… But everyone still refers to them as “certificates”. Diamond reports do one thing and one thing really good; They remove the jeweler’s opinion from the equation. That’s important! 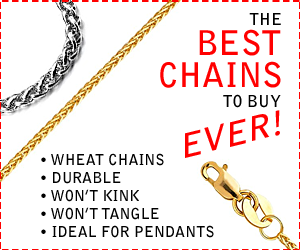 It keeps the jeweler’s honest! Independent certificate companies like GIA (Read: Why GIA is the best!) grade the diamonds and list all the important detailed features that identify the loose diamonds. Things like: cut, color, clarity and carat weight. These 4 C’s determine the price of a diamond. They guarantee that the quality of the diamond listed on the certificate is really the quality of the diamond you’re buying! I wholeheartedly recommend GIA (The Gemological Institute of America). They have the most accurate diamond reports available. Hands down! Many jewelers want you to view your loose diamond with a 10x jeweler’s loupe. That’s fine and dandy if you know how to properly hold a loupe and use a loupe. If you’re not an expert, and not experienced with loupes, then forget it! It’s not going to help. Instead, use a microscope. A 10x powered microscope is what professionals use to certify and grade diamonds with. What do I find shocking about microscopes? I’m always blown away with people buying loose diamonds, but I’m more blown away with other jewelers selling loose diamonds. Why? 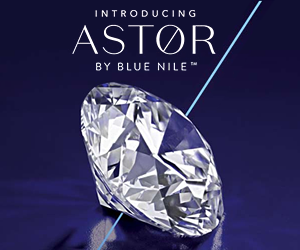 Because I’ll ask the customers that have been out shopping for loose diamonds all over the city, if they’ve ever seen a diamond under a microscope? This is down-right shocking to me. How can other jewelers expect to sell loose diamonds without letting the customer see what it is they’re Buying? I don’t get it. To you, don’t buy a loose diamond from any jeweler that won’t offer you a closer look under the scope. It’s just common sense. Avoid it. 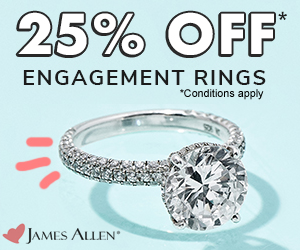 All it means is that the jewelers either doesn’t think you’re serious about buying, doesn’t care about making a sale, or is just trying to hide the true quality of that diamond. I tend to believe they’re covering it up. A microscope will allow you to view the diamond at all angles under correct lighting. You’ll be able to see the inclusions inside the diamond and spot the blemishes on the outside. You’ll be able to see if the diamond is cracked or chipped or has huge black spots in it. You’ll be able to look at the girdle to see whether it’s too thin or too thick. You’ll be able to view the diamond from the bottom and the side and look at the depth of the diamond and the height of the crown. Use the scope, don’t be scared of it! Compare diamonds of other qualities to really see the differences. Do NOT buy a loose diamond, even if it’s certified, if you haven’t scoped it with a microscope first! Scope it! When you buy it, scope it! When you get it set or sized, scope it! Learn to identify your unique characteristics. 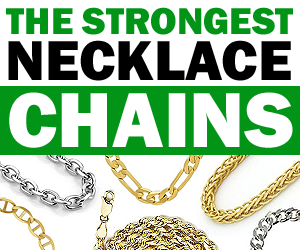 Don’t let yourself get ripped off and don’t allow the jeweler to switch your stone! You can hear all day to buy VS clarity, but if you don’t know what a VS clarity diamond is, then clarity doesn’t mean squat. It makes it pretty useless, this is why I recommend a hands on approach. Instead of hearing all about the quality and clarity, learn the easy way… learn by seeing the difference! Have the jeweler grab a bunch of different clarity graded diamonds, grab a diamond chart that lists all the clarities and ratings, then high-tail it to the microscope! You’re going to want to view each and every clarity to really see what I’m talking about. I would advise starting with the lowest clarity grade first, then working up to the better and best diamonds! Starting with the I clarity diamonds, I always have people look at the Diamond, then look at the plot (reference diagram that marks the inclusions), then look at the diamond again. I point out the inclusions on the certificate plot and then show them where they are in the diamond under the microscope. With the microscope the plot doesn’t look like such a mystery anymore. On paper, a plot looks like a puzzle, but you’d be surprised at how many of those microscopic flaws seem to disappear under magnification. Don’t judge a diamond by how the plot looks. And don’t buy a diamond solely based upon the clarity rating. All diamonds are different. Let your eyes be the judge. So many things affect the beauty of the diamond other than just clarity. Color, cut and size play big roles too! VS will knock your socks off! VS is crisp and clean and simply breathtaking. 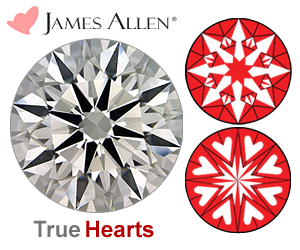 VS clarity diamonds have very small inclusions in them that are pretty difficult to spot under magnification. I love VS clarity! They’re stunning and full of sparkle. You would never regret buying such a clean stone. Ever! My favorite color is E-F colored diamonds. I love diamonds that have NO color.! (Colorless) The colorless range is D-E-F. D is just about impossible to find. And if you can find it, it’ll be insanely priced. Buy E or F color HERE! Colorless diamonds are so white and bright, that you’ll see the sparkle across the room! They look like they have ten times the amount of brilliance and sparkle of a normal diamond. They are absolutely stunning! I love showing colorless diamonds because most people have never seen them. The mall usually only carries lower color ratings like I-J-K color! There’s nothing wrong with G or H. Most people can’t tell the difference between a white diamond and an off-white diamond (also called “fine white”). Most people don’t notice color in a diamond until it actually looks yellow! And trust me, you don’t want a yellow diamond! A yellow tinted diamond looks dirty and old and it’ll rob your diamond of beauty too. Colorless… I’m telling you colorless is the way to go! Compare colorless to near colorless diamonds and you’ll see how much more life you get out of the diamond. It’s well worth the comparison. If she says she wants a 1.00 carat diamond, get her one (She’ll be sad and blue the rest of her life if you don’t). Plus you’ll always be saying to yourself, “I wish I would have bought her that bigger diamond!” It’ll happen, trust me. If you don’t know what diamond size to buy her and she hasn’t dropped you any hints, then I would buy her the biggest carat weight that you can afford. But only do that AFTER deciding what color and clarity to purchase first! You can quickly see on the report the diamond’s measurements. No diamond in the world will ever be dead on, but you can get close and that’s what truly matters. If the MM size is too wide or too deep, you’ll lose light and sparkle. The diamond will end up looking lifeless! And we all know, the beauty of a diamond is the brilliance. A diamond with a good MM size will help your diamond exhibit brilliance and fire. Table percent and depth percent. 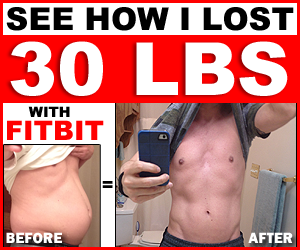 Now, you can get into numbers and percents and work out mathematical proportions for ideal cuts, 60/60 and so on, but it will literally drive you crazy. So don’t worry about percentages and proportions… Just get “excellent” grades in cut, polish and symmetry and you’ll LOVE the way the diamond looks. But fluorescence can also create a weird blurry effect with your diamond which makes it react to light differently. It can look foggy and cloudy (especially “strong” fluorescence). Fluorescence can mask sparkle. Even if a diamond is VS, E; if it has fluorescence then it can still look dull and boring. So my advice, if it has fluorescence, skip it! This is the best way in the world to keep from getting ripped off! A diamond that’s laser inscribed actually has the diamond report number etched (lasered) into the side of the diamond. The numbers are visible on the diamond’s girdle under a microscope. With that report number etched in stone, you’ll always be able to identify your diamond no matter what. You’ll be able to scope your diamond and see those numbers and never have to worry if the jeweler switched your stone! 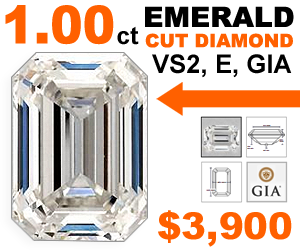 If you can afford it, buy a certified 1.00 carat diamond with VS clarity and E color. That’s an unbelievable quality! If you can’t afford that, buy the same thing but in a 3/4 carat weight. I would advise you to not lower your standards and start skimping just because of price. Don’t downgrade to a lower clarity or color just to get a bigger diamond. Size is not worth it! If you have to buy smaller, do so. You can always up-size the diamond later, for say an anniversary or a christmas gift! 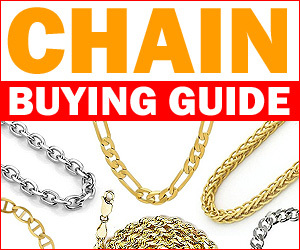 Deals, discounts, watch those scams! 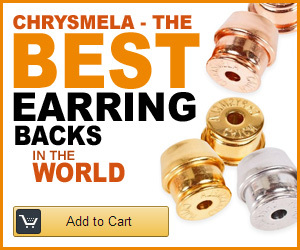 Don’t be fooled by unbelievable prices or sales. If a jeweler is selling a loose stone $2,000 cheaper then every other jeweler in town… BEWARE! There’s always a good reason why it’s so cheap! Most people don’t understand the complexity of cut. 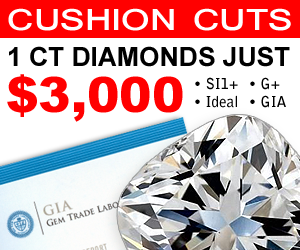 Most really do think cut means “round!” So it’s a good way for jewelers to sell (dump) inferior and poorly cut stones on the market! That’s why you should ALWAYS buy a stone that’s “excellent“. Check the cut grades, polish grades and symmetry grades. Those should all be “excellent” (or “very good” at the least). Check the diamond’s girdle (thin-medium thickness). See if the diamond has fluorescence (It’ll be listed right on the GIA diamond report). Make sure it’s certified and laser inscribed (not all stones are, but it’s wise to look for them). What does your gut say? Does the jeweler seem shady? Are they trying to shove it down your throat? Are they showing you the diamond under a 10x microscope? Do they seem to fully understand the 4 C’s and are they trying to explain them and help you? Too many times you’ll see an inexperienced salespeople (What I call “clerks!”) that don’t know jack about diamonds and shouldn’t be selling diamonds at all. Which is why you should only buy loose diamonds from a trained, knowledgeable and respected jeweler. And only buy GIA certified diamonds! With these tips and tricks from my loose diamond buying guide, you’ll get not only a wonderful diamond that’s full of brilliance and sparkle, but a diamond that you’ll be proud of! 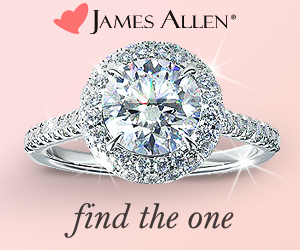 Check out these beautiful diamonds here at James Allen. 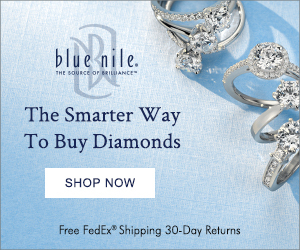 Thanks for sharing the informative blog on buying loose diamonds. People are not sure while buying loose diamonds. They fear that they might be cheated. But above mentioned points will really help before buying loose diamond.